The children have had lots of fun this term, in Before and After School Club. The children have enjoyed making lots of Autumn and Halloween decorations to decorate the hall and have been working their way through our file of Dyson Challenges. The children have achieved their Bronze Award and are on the way to Silver! They are now enjoying our Christmas activities and are busy trying to solve the Rubix Cube! 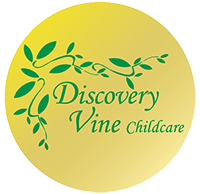 Discovery Vine’s ‘Locked Box Challenge’ will be in the club next week! Please remember to inform us if your child / children will be taking part in any of these. We work very closely with school staff at the end of the day to ensure all children get to where they are meant to be, but it can be a very hectic process for us and the school if we have to keep asking which children are in the clubs. Please also remember to let us know if you are collecting your child from school on a day when they are booked into the After School Club, especially with the School Christmas productions etc coming up. Please remember to update us with any changes to your child’s personal details e.g; change of address, health & dietry information etc and your contact numbers in case of an emergency. If you are not sure of the details we have for you and your child please ask a member of staff to show you your registration form. As schoool closes for Christmas at 1pm on Wednesday 21st December there will be no After School Club. Before School Club will operate as normal.